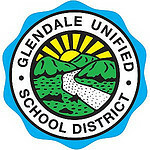 Voting for Glendale Unified School District Governing Board will be held on Tuesday, April 7. 2 seats are available in this election. In 1982, the movie musical ANNIE was in theatres. You know the one with Albert Finney, Carol Burnet? I was 9 years old and my father took me to see that movie. I remember watching Aileen Quinn up there on that screen and I remember thinking “I wanna do that”. It had a profound impact on me cause that is when my love of musicals started. I would sing along with the soundtrack and pretend I was up in the movie singing and dancing. Later in life I found myself singing and dancing in shows just like I said I wanted to do so many years before. I started playing clarinet in the elementary school band. By the time I was in high school, I was playing baritone horn and cello. Through my participation in the school band I had amazing, unique opportunities. I learned how to stage a full blown production as we did an intricate pops concert every year, I traveled throughout the state of California as I participated in regional and state level honor bands. I worked side by side with my friends, learning teamwork and how to raise the level of a group by working to positively push each other. The experience left me a better organized, more creative, more collaborative human being. When I think about my art classes in elementary school, I think about my dad. He was rarely involved with my school experience, but when it came to art projects and art home work (We did have art home work where I grew up. ), my dad was right next to me after a long day at work. Together, we were completely consumed with the many projects over the several years of elementary school. I had my dad all to myself for and I was content. For the last five years I have overseen the PTA Reflections Program for Crescenta Valley High School, Glendale Council PTA and 1st District PTA. It is a national arts program that allows students to reflect on a theme and produce a piece of art in the categories of Dance, Music, Literature, Visual Arts, Film and Photography. It gives every child and opportunity to be creative. This year I had a student from Nidorf Juvenile Hall School in LA submit a piece of art and he one 2nd Place overall for 1st District PTA. This student now sees that because of his creativity there is opportunity outside the walls of the school he is lock up in. When you dream and let your creativity shine, the possibilities are endless. Not all students are easily engaged in traditional education. Arts education provides a hugely meaningful way to engage students in non traditional avenues. The student who hates English class may find a love of literature building sets for the school production of Romeo and Juliet. The student slouching in the back of the class, may find a mentor and guide in the ceramics class teacher with whom he has created a strong connection. The arts provide new ways for students to be successful in school that may then be translated to the skills needed to be successful in other areas of school as well. Creativity is crucial! I believe students learn best when they're engaged in the instructional process. No matter the subject, when a lesson is creatively presented the students absorb the material to a much higher degree. Another way to think of it is that an engaged student is an achieving student. Therefore, engaged student's grades/scores should rise - helping to close the achievement gap. Engaged students should be less likely to drop out. Engaged students are more prepared to attend college or get a job out of high school. Creative classes and instruction can make a huge difference in the learning experiences of our students, and positively impact their future. As your Board of Education Member, I have been a strong advocate of the visual and performing arts. When I was growing up, drawing, painting, theater, poetry and music were a consistent part of my school experience and they mattered a great deal! Today, we know beyond any doubt the benefits the arts provide in the social, emotional and academic achievement of our students. That is why at Glendale Unified we have protected art and music, maintaining instrumental music programs in elementary schools, world-class drama programs, and our national award-winning High School Jazz and High School Dance programs. The strength of the plan is the sheer awareness of the importance of arts education in our schools. GUSD does an exceptional job in keeping ARTS a priority. Funding is the weakness. We need to advocate for better funding from our State in order to keep our arts programs sustainable. I am on the Local Control Accountability Plan Committee for the District and when we set our goals one of the priorities was arts education. We will continue to make sure that arts education is always a priority because we see the effects it has on our student’s success in other areas of their education. Funding will continue to be the Achile’s Heel for any arts initiative in public education. To overcome it requires a district that understands how excellent art programs have the ability to mitigate and reduce the need for other intervention programs. Art education is essential to increasing creativity, engagement, and interest in education in general. I believe integrating the arts into the entire K-12 curriculum is a great thing. The strengths are creating a consistent, year-over-year exposure to the arts for the student's K-12 journey, providing consistent opportunities for students to explore and create art in all its forms, creatively learning subject matter that engages the students. The weaknesses are adapting curriculum to incorporate the arts in traditionally non-art subjects, encouraging and supporting teachers to find creative methods of presenting their lesson plans, consistently integrating the arts throughout the district. Students vary in their talents, interests and learning styles. Anything we can do to expand their opportunities to be good at something, to thrive in one area, or to be engaged in the curriculum is our responsibility. This will go a long way to help more students succeed. To the extent that we shift any curriculum, there are growing pains. For example, as a Board Member, I must make sure that our teachers have the resources they need and that they are prepared to carry out the curriculum. Each year we hold an Honors Music Festival consisting of over 200 of our student musicians from our Elementary Schools. Our Board of Education each year along with PTA Honors those who have participated in the Reflections Art Program. With that said we could do better about promoting our arts programs in general. We could do monthly updates on concerts from both music and choral departments at all of our schools. We could hold Visual and Performing Arts nights during the school year to highlight all the arts programs at our schools. The more light we shine on these programs the more we engage not only our community but also our students in what we are doing. Communication is always a challenge. The more we showcase special programs like district honor bands, the more the community becomes aware that amazing programs are happening in the district. We can continue to find ways to highlight particular programs at a district level and collaborate with the site PTA to showcase projects and programs in each individual school. I'm a community-focused person.There's no better way to increase visibility and awareness of the arts in our schools than by taking the art to the community. We need to partner with local government, businesses, service groups, and non-profits to create opportunities for students to perform at their events, display their artwork, host/underwrite art competitions, and promote school-based events such as musical and theatrical performances. As the community is able to see and hear what our students are capable of, the opportunities for increased visibility, support, and patronage of the arts should become a reality. At Glendale Unified, we have been successful in protecting and expanding the arts even in a terrible budget crisis. Our national award winning Glendale High School Dance Team was selected from across the U.S to perform at the Opening Ceremony of the New Year’s Day Rose Parade. We were so proud of all our 90 students that morning! I’m also proud of our Hoover High Jazz Band, Marching Band and Symphonic Winds. They are regionally and nationally recognized. We highlight our arts achievement regularly; we can and should be more explicit of our arts education plan on the LCAP. Arts education in my opinion aligns perfectly with the eight priorities. Arts education improves student achievement and engagement and provides a great opportunity for parent involvement. It is offered to all students and sets a great tone for a safe school climate. Our LCAP Committee has made arts a major priority when it comes to the LCFF. Arts education easily lines up with the priority areas. The areas are all about increasing critical thinking and engagement at deeper levels. Art education naturally moves in that direction. There is plenty of research to support the links between quality art education and creativity. I believe art education is a natural fit for the movement of the LCAP formulas and priorities. I believe arts education aligns with the primary student-related LCFF priorities. Assuming that a sequential arts education is implemented, arts education aligns well as it relates to Student Engagement, Student Achievement, Course Access, and School Climate. Not student related but still closely aligned is Parental Involvement because involved parents are crucial to successful arts education. Alignment with Common Core may be problematic. The other two priorities, Basic Services and Other Student Outcomes are non-specific and, therefore, difficult to determine alignment. The connections between art education and the Common Core standards are possible. We must be alert and mindful of all the possibilities such as: using art courses to develop language skills; creating artwork to learn historical time periods; and using technology in arts instruction. Engaging and instructing our students in a multi-discplinary manner, where the arts embody or augment the subject matter, allows students to view their subject matter from different perspectives and helps them excel.